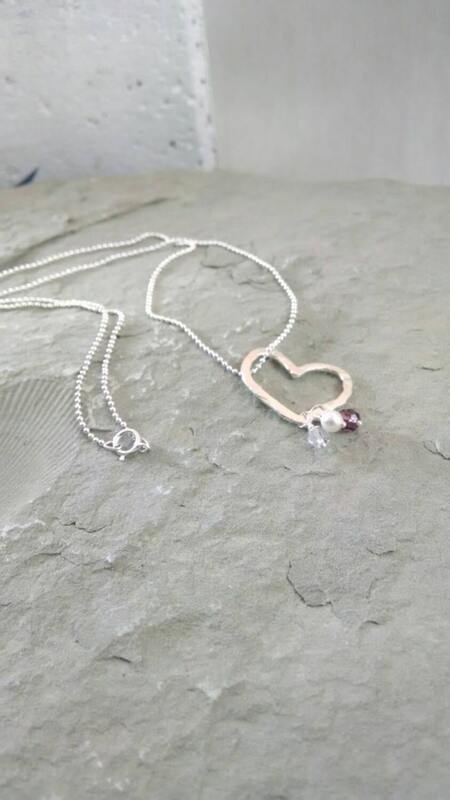 Stunning birthstone necklace features hand shaped and hammered sterling silver heart pendant and a shimmering Swarovski Elements birthstone beads on a delicate sterling silver ball chain. 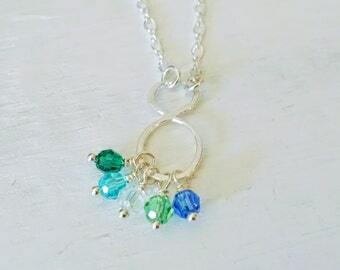 This necklace is handmade with love and makes the perfect gift for a new mom or grandma, sister, best friend, or an aunt. Customize it with your choice of Swarovski Elements birthstone beads to represent her, her children, or you and your best friend. Please leave your birth months in the "note to beccasblues" box at checkout. Heart charm measures approximately 1 x 1 1/4 inch, will vary slightly with each handmade piece and is shaped with 14 gauge wire. Ball Chain is 1.2 mm wide and 18 inches long. 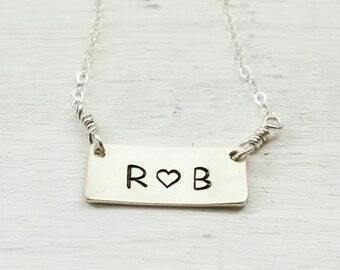 If you would prefer a sterling silver cable chain, please leave me a message in the "note to beccasblues" box at checkout with the length you would like. The Swarovski Elements beads are 4 mm and round. All components are .925 sterling silver, except the Swarovski Elements birthstone bead.